Arrived back home in Norwich a short while ago. I want to blog about this week when the memories and impressions are still fresh. Do you remember that a week ago I posted an appetiser towards my week on Shetland? It seems so distant now. Left Shetland late in the morning but the weather was crazy this morning - no chance for birding sadly, but the storm was powerful and impressive. 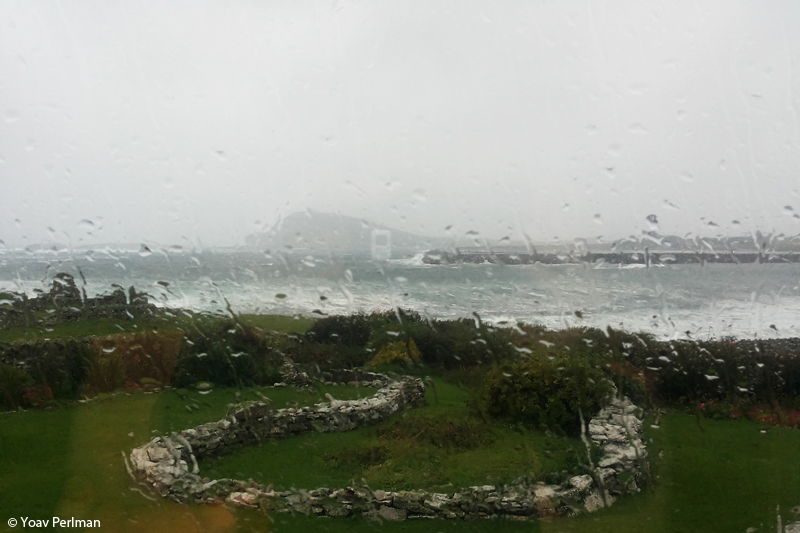 Gale force easterlies and heavy rain. 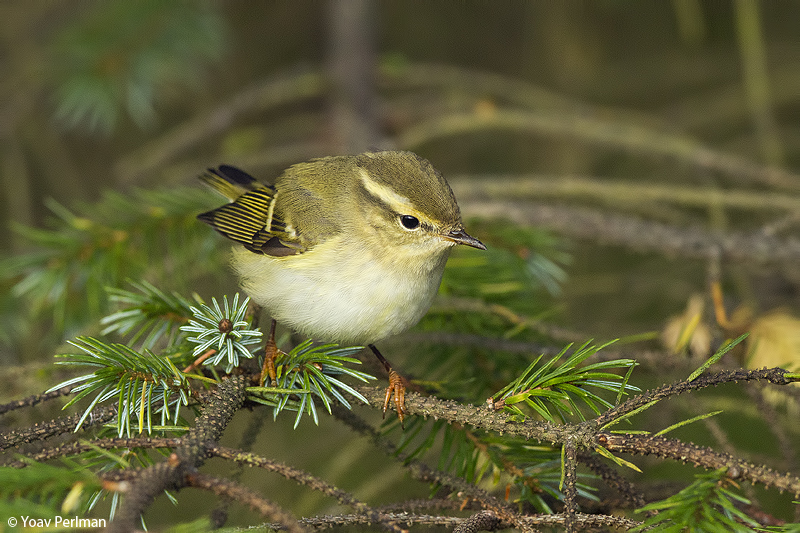 Apparent that there are lots of birds on the ground - just around Roger's house many Redwings and Yellow-browed Warblers, but no chance for outdoor birding today. I am jealous of the guys staying on Shetland for the next few days - feels like it is going to be amazing. My trip to York was rather crazy. The plane left 40 minutes late, and then was delayed by another 30 because there was a fire in Edinburgh airport (!) that created a traffic jam. And then my bag never arrived. I left the airport at 14:05 hoping to make it to the 14:30 train. Almost hopeless. Luckily my taxi driver was up for the challenge and got me to the station at 14:28. Mad run in a heavy downpour, lucky I found the platform quickly. The train doors started closing when I leaped forward and jumped onto the train, Hollywood-style. Pheew. Now I have time to wind back and think about all the experiences I had this week. Although you would expect me to begin with the birds I saw and those I didn't, I will actually begin with the people. I traveled up with Martin and Sharon. Without each other I think we would not come up to Shetland. I was badly organized and independently I wouldn't have had enough time to get properly set up there. Without my nagging and enthusiasm I think Martin wouldn't have gone either. It was magical to spend quality time with Martin and Sharon, in the field and indoors. Martin's good spirit is infectious and he constantly motivates me to go out and explore. Thank you Martin. And through Martin I got to make new friends. First of all Paul Harvey and Roger Riddington. Two very special and dear people. I read about them from a very young age, so I knew about their birding career. 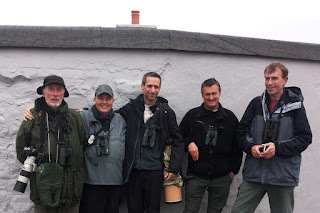 They are both phenomenal birders, and I enjoyed every minute of birding with them. I especially enjoyed observing them working a patch together, such as Sumburgh Lighthouse circuit that they must have done together hundreds of times before. In SAS-like manner, they both know exactly what to do, and exactly what the other is doing; no words are needed. Epic. This week I got to know them properly. I knew Roger from before, but during this week our friendship strengthened, together with his lovely wife Agnes. I stayed with Paul all week. His open house is so warm and everyone feels there so welcome. Incredible laid-back hospitality - truly outstanding. And then Peter Colston, Tring legend, who stayed at Paul's as well. Again, it was awesome to spend time with someone I read about from the age of 10. He is a cool guy, lots of fun, and together with his mate Tony they made a great team. And then there were all the other locals who made me feel so welcome - Gary, Becca, Phil and Ayda-Ruby - you are all stars! Thanks a lot. Thanks to Shetland Bird Club for inviting me to talk - I really enjoyed it. Will and Pierre - great spending time with you guys, thanks so much. And what about the birds? Well, it was a difficult week. First of all, the hard work: during this week I walked through miles of iris beds, peeped into numerous gardens and pished more than I had ever pished before. And all of this for rather little reward. I did find some decent or half-decent birds (Blyth's Reed Warbler, Red-throated Pipit and Bluethroat) but in spite of my efforts I didn't score any higher than this. 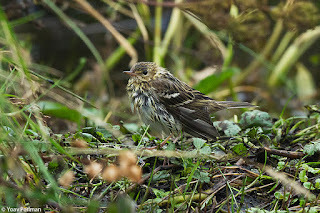 I was very happy with the Pechora Pipit, it's a bird I had wanted to see for many years. 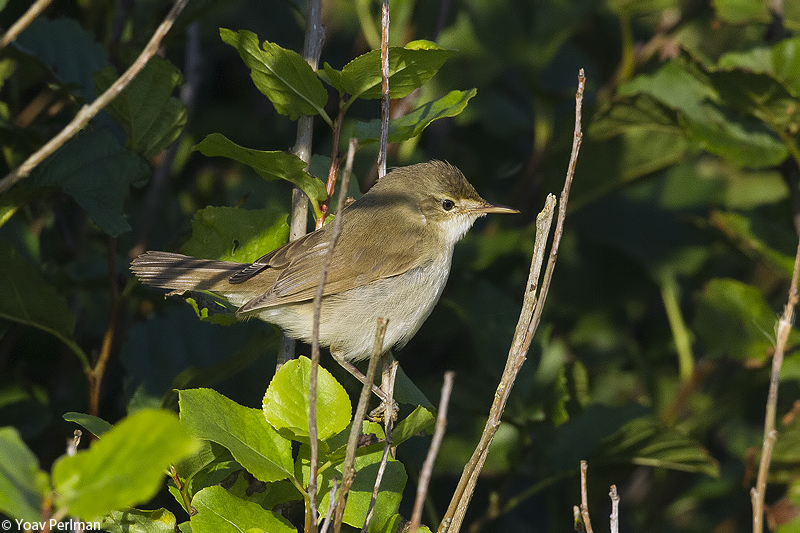 The Arctic Warbler was a good bird though it showed badly. Other than that there was the impressive influx of Yellow-browed Warblers, and several other quality scarcities such as the cracking Lapland Bunting. But generally birding was very difficult and offered little reward, partly because of the non-favourable weather conditions, and partly because that's how birding in Shetland is. The only way to appreciate the birding there is through a long-term, multi-year relationship with the place. 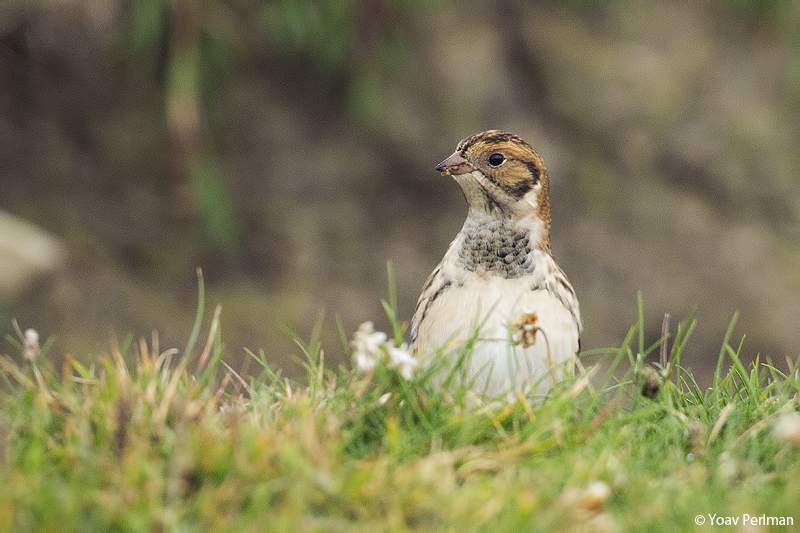 A one-week gig is almost certainly bound to disappoint, but then probably every two or three years you hit it right with the most incredible birds in the WP. What did I miss this week? I could have gone for the Swainson's Thrush on Unst, but that would be a mad rush and would cancel a lovely evening we all had together at Roger's. So I decided to give it a miss. Siberian Thrush is a proper monster mega, but there's no way I would be able to get to Fair Isle and off the island in time to head back home today. And the bird was not showing actually. There were a few other rarities around I didn't go for - American Goldy, Eastern Subalp Warbler, Rustic Bunting and a couple of OBP's. I guess that if I had my own car I would gone for at least some of those. However I was dependent on others to drive me so I did not try very hard to get to see them. 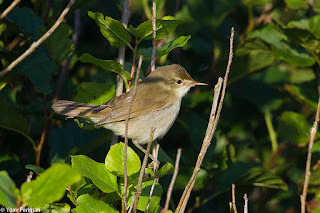 I always chose to try another patch to find my own birds - it was more enjoyable than a daft twitch. In the bottom line, the combination of great companionship, good birds and being on such a special island made this trip unforgettable. I am not a Shetland virgin anymore, and I hope the next trip will be even better. So till next year - so many thanks to all those involved, including my amazing wife that without her support this trip wouldn't have happened.